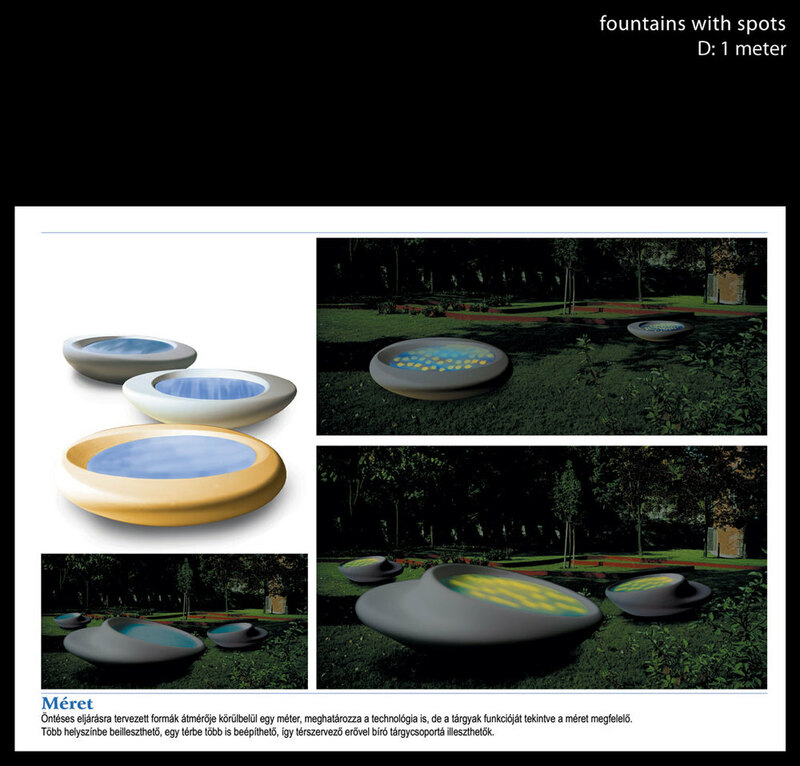 This multifunctional urban furniture can be used as seating as well as fountains, with optional integrated light fixtures and multiple possible configurations. 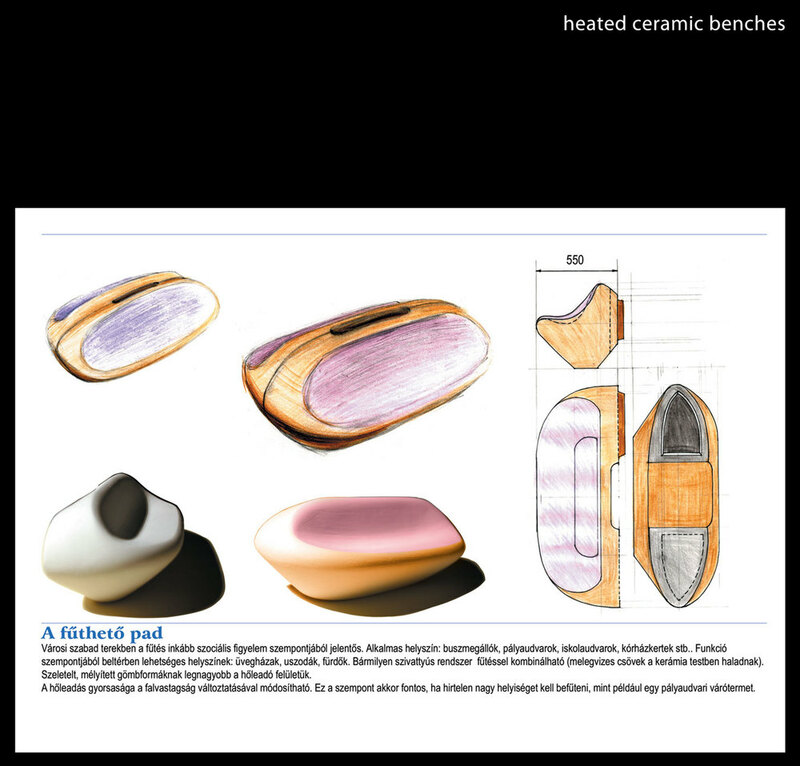 The designs were completed in 2003, winning an award during the Zsolnay factory’s product line expansion design competiton. 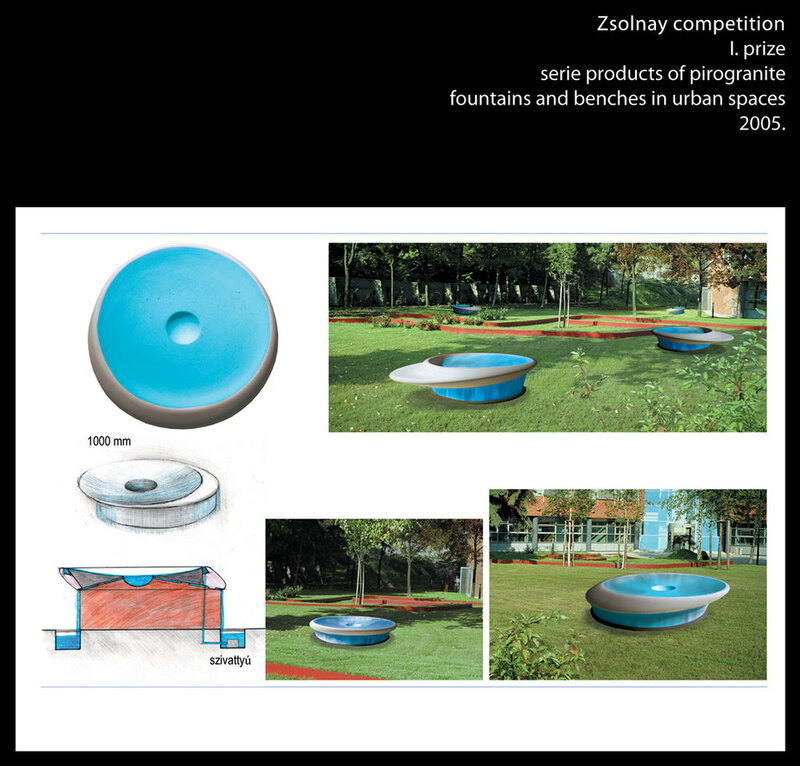 The urban furniture can be used both indoors and outdoors: in parks, on campuses, in libraries, swimming pools, waiting halls, cultural centres, and in trasportation hubs. Their hollow interiors allow the installation of geothermal heating systems. The manufacturing constraints were the Zsolnay factory’s product design competiton objectives, which were the developmet of easily manufactured, economical produced products aimed at new markets. The major design parameters identified were speed of production, minimal tooling costs, simple installation and easy maintainence. They form and structure a space, having the ability to conform to a variety of urban spaces while aiding in their specific functions and uses. Their material radiates heat effectively, yet its resistance to frost makes it a durable choice for the extremes of weather. 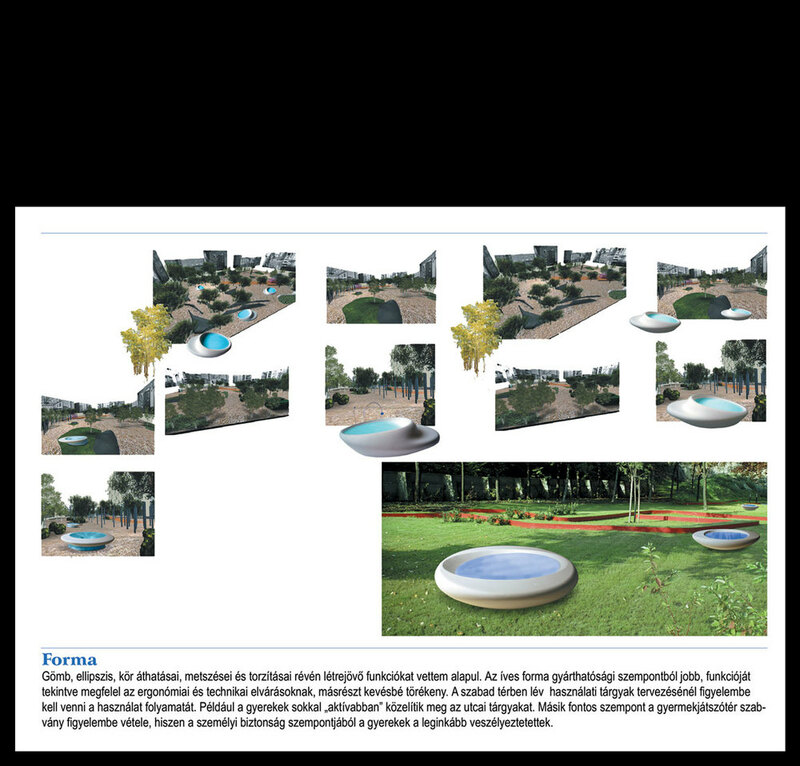 The small scale of the fountain designs and benches means they can be manufactured in a single piece. 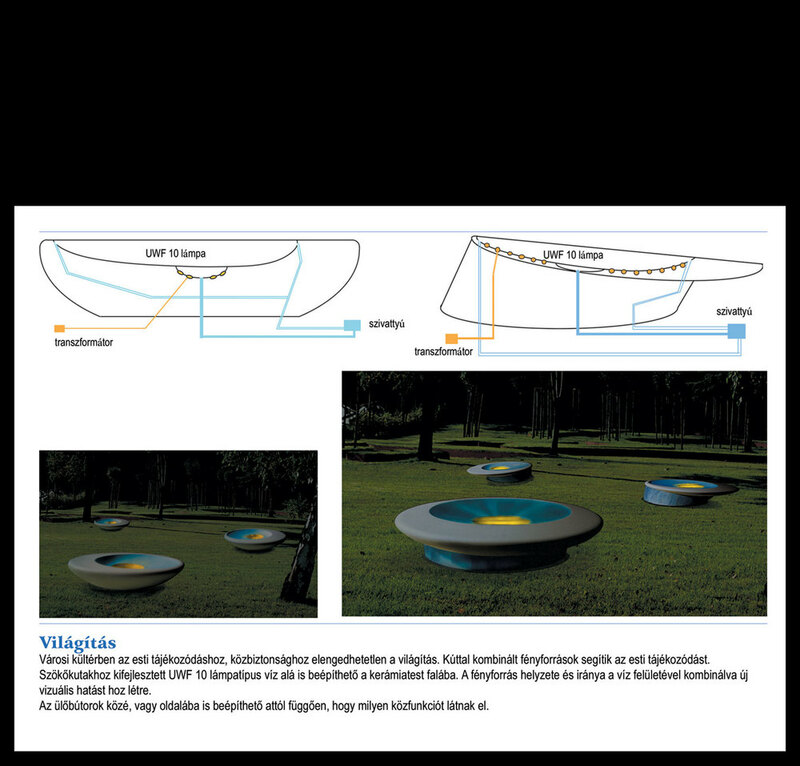 In addition to their seating function, the design makes it possible to integrate lighting in the water. Easily cleaned and maintained, they meet the highest standards of hygene.